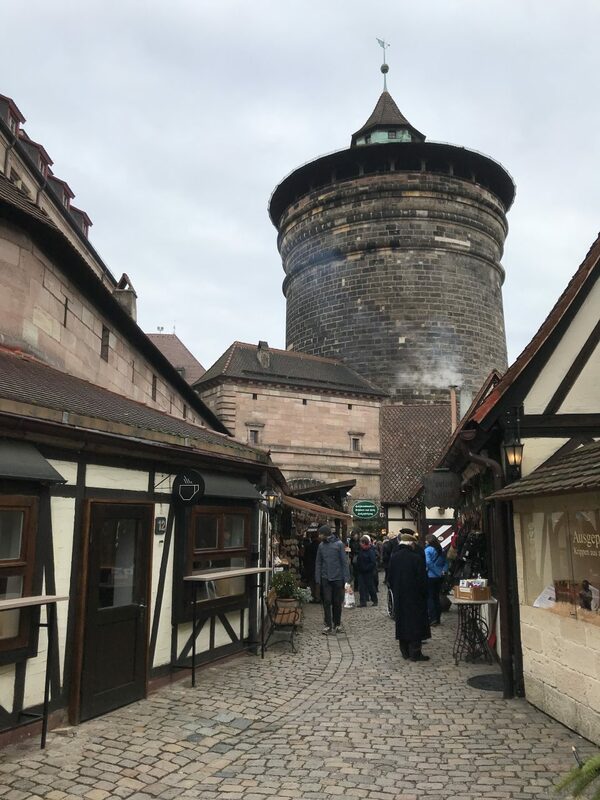 Today me made the trip to Nuremberg to see its old town, castle and Christmas markets. It was up bright and early for our day trip to Nuremberg. We had a good day in Munich yesterday, so we were all a little tired. But we almost didn’t make the journey at all. The wife was feeling ill and was in the toilet regurgitating until moments before we were due to leave. We finally made it to Munich Haubtbahnhof to get our train to Nuremberg. Like most inter city German trains we had a carriage to ourselves. 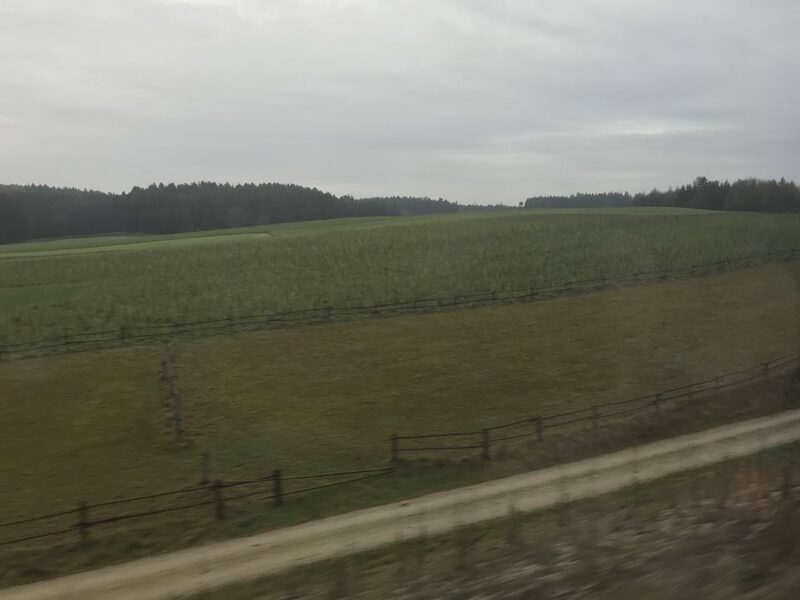 The scenery on route was mainly farmland and was unremarkable to be honest. Oh and there were lots and lots of tunnels. The journey only took 50 minutes before arriving in Bavaria’s second biggest city. Just outside Nuremberg station is Handwerkerhof Nürnberg. This is a small medieval shopping area with loads of little shops selling crafts, jewellery, food and drink. Looking over this enclosed square is the imposing Königstor. I had a great coffee opposite the tower in a little cafe called Behringer’s. All the staff were in traditional Bavarian dress too. We then walked down to Lorenzplatz to see the impressive Lorenzkirch. This church dates back to the 15th century. It was heavily bombed during World War 2 and has since been completely renovated. Following the road down to the Pegnitz River there were lots of Christmas market stalls offering their wares. I’ve never seen so much glühwein advertised anywhere, and I didn’t consume any of it! Right in the centre of Nuremberg’s old town is Hauptmarkt. This is the city’s main square and is home to the gothic Frauenkirch. On the tower are figurines that perform a show at noon everyday, but sadly we missed this. The square is home to the famous Christmas market called Christkindlemarkt. 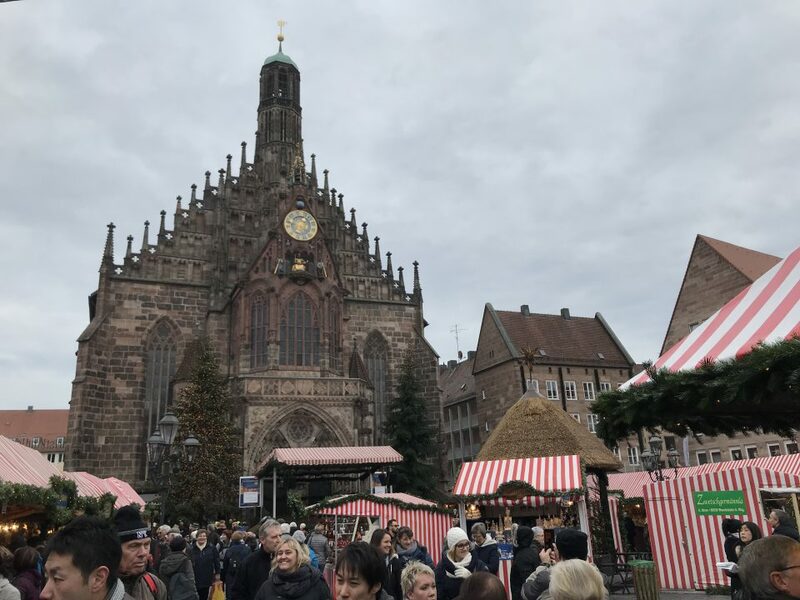 This market was absolutely huge and offered the usual festive products like decorations, cakes, bags, hats, glühwein and the renowned Nuremberg sausage. It was then a steep ascent up to the Kaiserburg Nürnberg. 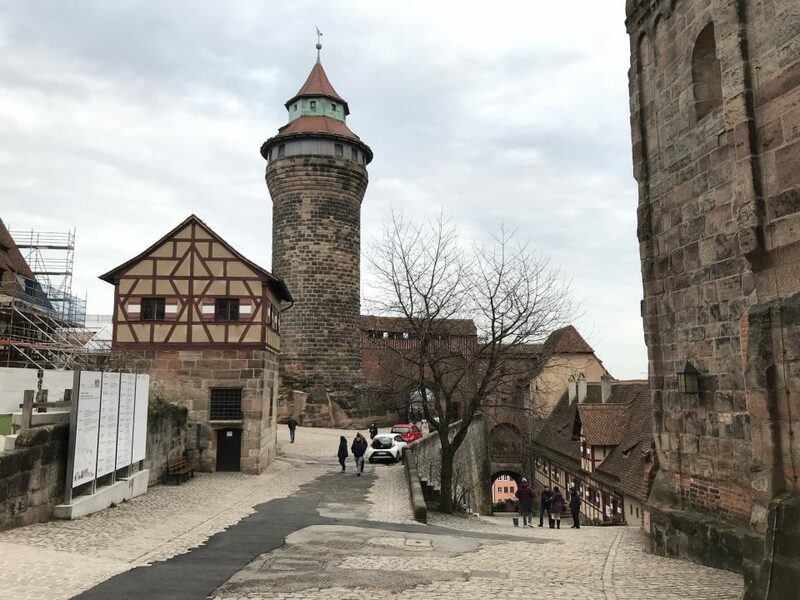 This is an 11th century castle which boasts amazing views of Nuremberg and the surrounding area. We enjoyed walking around the castle complex, even if we did slip a few times on the cobbled surface. It was then time for our evening meal, so we made our way to Cafe Bar Celona near the river. 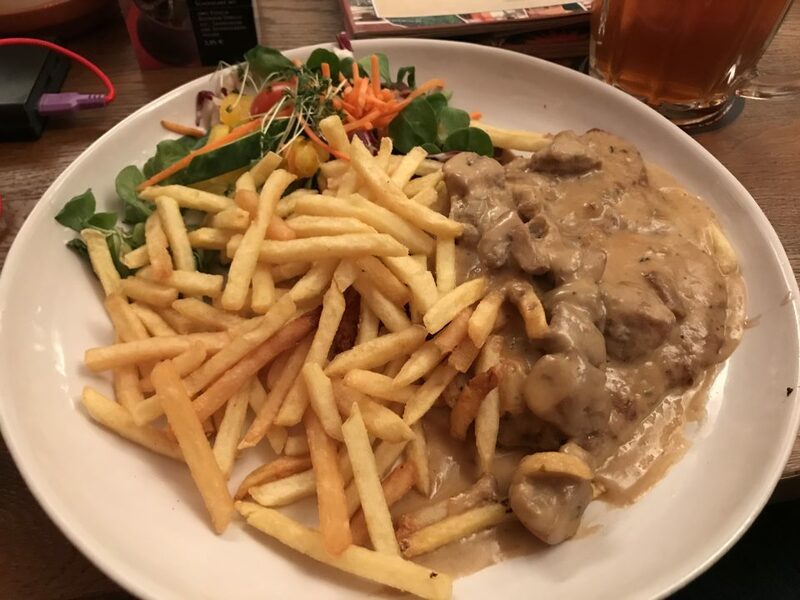 I opted for pork schnitzel with mushroom sauce, washed down with a local beer. Very nice indeed! The wife had a pizza which was about two miles long. Before heading back on the train we had one last look around Nuremberg’s Christmas market, but this time in the dark. The stalls and church looked amazing all lit up, but I’ve never seen so many people in one place. It was heaving there. We then retraced our steps back to the train station to head back to Munich. 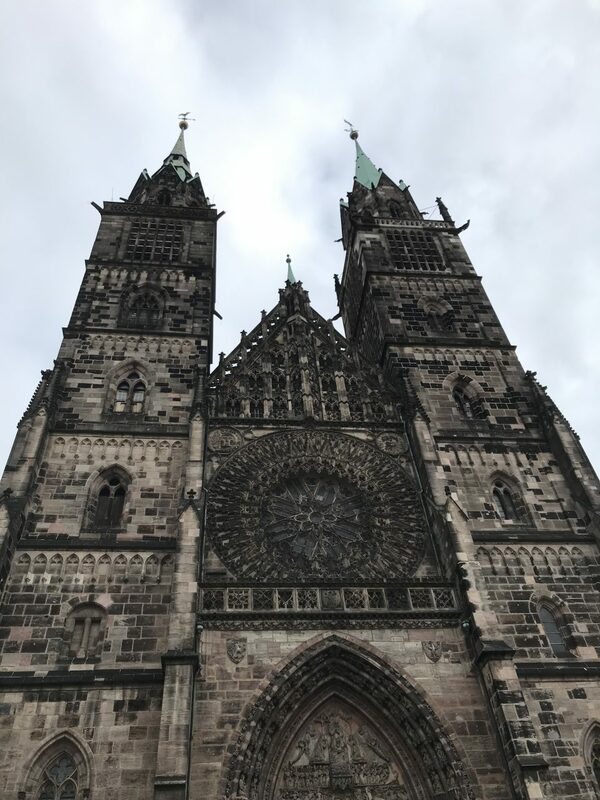 We really loved our time in Nuremberg. I will definitely come back here one day. 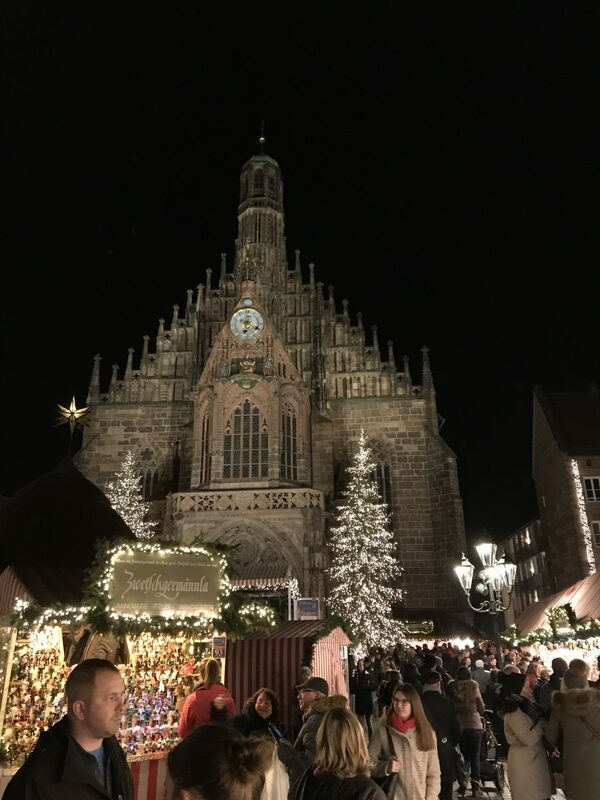 We have also been to the christinglemarket in Nuremberg. Which was every bit as lovley as your blog said.